Recent offering of Varun Dhawan, Judwaa 2 has been passed it’s third weekend as well on a good note and now heading smoothly in weekdays. After breaking many records of 2017, now this action comedy has surpassed the lifetime total of superstar Akshay Kumar starrer Toilet Ek Prem Katha. Directed by David Dhawan, Judwaa 2 is the official remake of 1997’s Salman Khan starrer Judwaa. Although from critics, the new version has received mixed reviews but fortunately most of the audience found it entertaining and showed thumbs up. As a result the movie remained excellent throughout the opening week and did the business of total 98.08 crores, that included 59.25 crores of weekend and 38.83 crores of weekdays from more than 3500 screens across the country. In the second week as well Varun Dhawan, Jacqueline Fernandez and Taapsee Pannu starrer reported good performance despite new offerings and raked the business of 27.76 crores, that included 18.10 crores of weekend and 9.66 crores of weekdays. 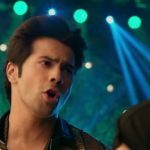 Then in the third weekend, Judwaa 2 enjoyed uninterrupted run at box office and minted the amount of 7.19 crores, with 1.72 crore of Friday, 2.65 crores of Saturday and 2.82 crores of Sunday. After 17 days of release, total collection of the movie was recorded as 133.03 crores. Now Sajid Nadiadwala’s production has been entered in weekdays once again and still has enough hold over the audience. On 3rd Monday, it faced 27.30% of drop and garnered the business of 1.25 crore. With this, 18 days total collection of Judwaa 2 has become 134.28 crores at domestic box office.